Fallasburg, MI -Tagging on to the huge success of both events, the Covered Bridge Bike Tour and the Fallasburg Village Bazaar, the Fallasburg Historical Society (FHS) is moving ahead with another fall event. 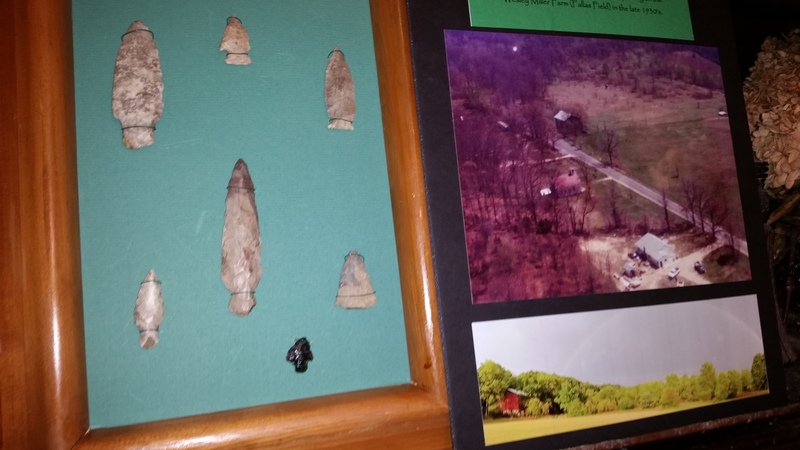 The 2nd Village Haunting will take place on Oct. 27 at the pioneer village of Fallasburg. 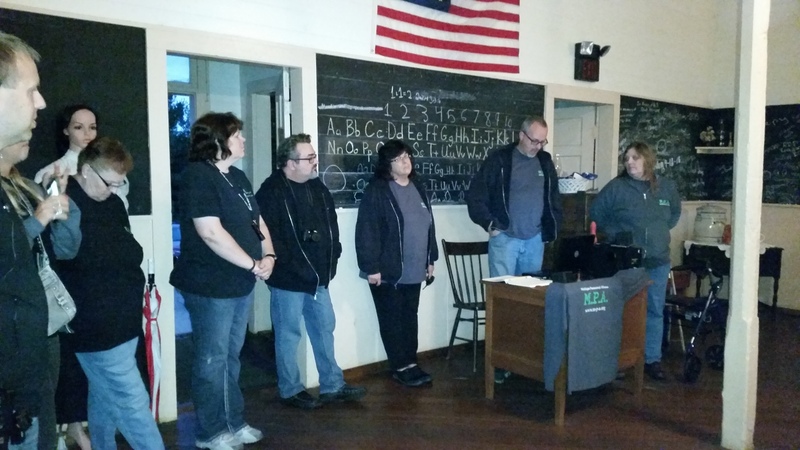 The event is a public paranormal investigation with the Michigan Paranormal Alliance (MPA). Sign in is from 6:30 p.m. to 7 p.m.. Participants will accompany MPA to investigate three historical buildings: the one-room schoolhouse, the Dave Misner House and John W. Fallass House. 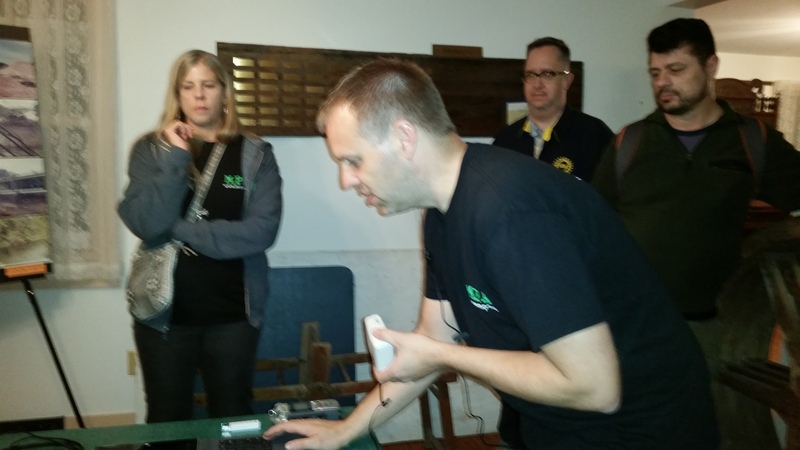 The Michigan Paranormal Society ghost detecting equipment. The haunted Tower Farm circa 1850. “The main purpose of the event is to raise money for the buildings maintenance and to see if we have ghosts,” said FHS vice-president Tina Siciliano Cadwallader. The team has been together for 20 years, and each team member has had a paranormal experience. They will be using various equipment inside the historical buildings such as: EMF meters that measure electromagnetic fields, movement, pressure and other anomalies created by an entity such as a ghost. Secondly comes, where science meets spirit. “If the devices show activity where we can feel and communicate with a ghost,” she said. “I was born with that natural ability. There is a distinct difference between a ghost and a spirit. People will get to observe how the professional team works together. 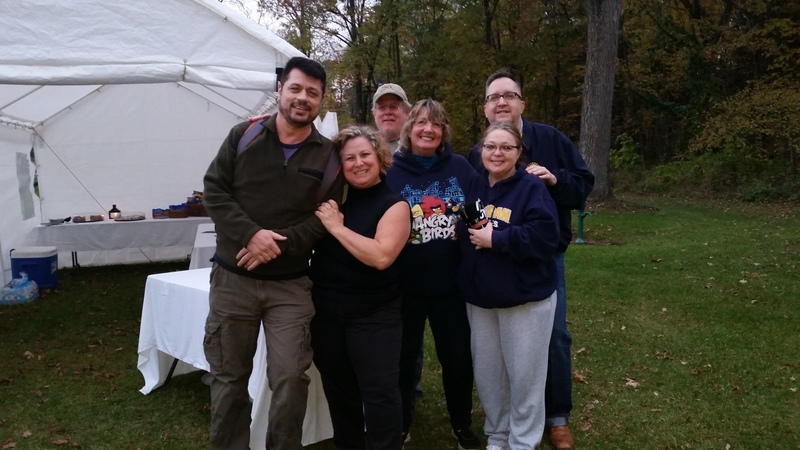 The Michigan Paranormal Alliance team donates all their work and time to give back to communities. They have investigated public places such as Waverly Hills Sanatorium, Trinway Mansion, Mansfield Reformatory, businesses and private homes. Lelieveld also offers private readings. Her first paranormal experience was when she was 16 years old at a friend’s house. “I had a conversation with her grandma,” she said. As a group, they had many paranormal experiences. “We have comparison data from two years ago to look over and see what the differences are, if any,” said Siciliano Cadwallader. All proceeds benefit the preservation efforts of FHS. Fallasburg, MI- It was a spooky Saturday night before Halloween at the Fallasburg historical village. 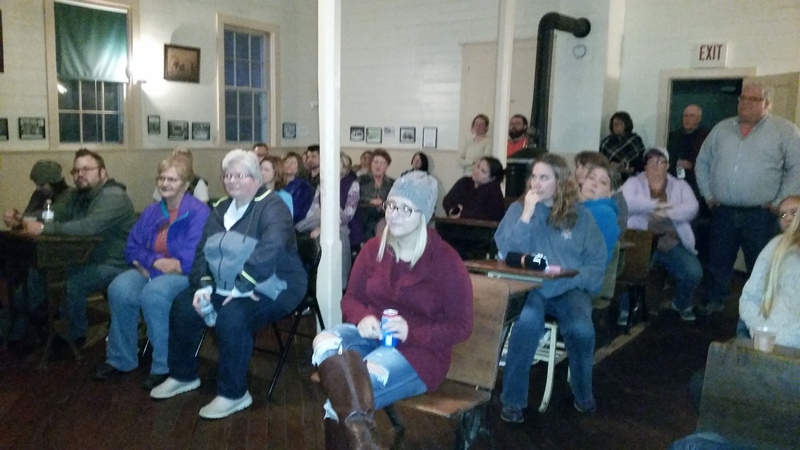 The MPA started with an introduction inside the Fallasburg one-room schoolhouse museum. We filed behind the old creaking and squeaky desks much like the students did some 150 years ago. The classroom filled up and there was standing room only. Ghost hunters inside the Fallasburg schoolhouse museum. My husband Ludek and I were in the group with FHS president Ken Tamke and Blue Cross Blue Shield (BCBS) employees. We walked down the Covered Bridge Road lighting our way with flashlights. We briefly paused at the Tower Farm, better known as the Tower House. We could not go inside because of its dilapidated interior. The FHS is currently seeking funds to repair the Tower House. Tamke said there have been reports of haunting at the Tower House. 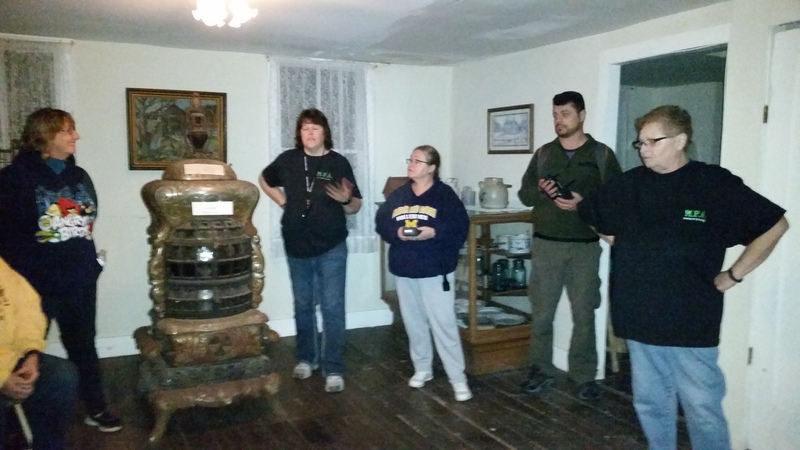 Lie Kotecki of Michigan Paranormal Society (MPA) conducts an EVP session inside the John W. Fallass House. The FHS president Ken Tamke explained the historical facts at each paranormal investigative location aka museum building. The next EVP session followed at the Misner House. It is the most completed museum out of the Fallasburg portfolio, according to Tamke. The MPA members usually turn off the lights for the sessions, although they have done EVP sessions in the middle of the day. Michigan Paranormal Alliance members Peggy and Jason Kotecki listen to EVP recording at the Misner House. Jason Kotecki, IT engineer at VanAndel Institute, analyzed the EVP recording at the Misner House and reported about other findings. The MPA team conducted a session in Allegan. “Not yet,” said Ludek Pala.